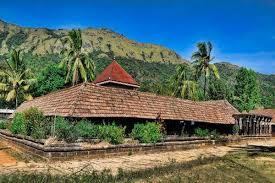 Here is Some Information about Thirunelli Temple in Wayanad valley Kerala India. Nearest Airport: Karipur, Kozhikode 88 km. The Thirunelli Temple is located Wayanad district an altitude of about 900m in north Wayanad in a valley surrounded by mountains and beautiful forests in Kerala.The temple was built in about 3000 years ago and built by Lord Brahma.The temple is Dedicated to Lord Vishnu.Thirunelli Temple is the only temple in the world where the devotees can perform all the rituals related to one’s life, starting from birth to death and life after death.It is one of the most ancient temples in Kerala. It is believed that here the prathishta of Lord Vishnu was performed by Lord Brahma. It is also known as ''Sahyamala Kshetram'' and ''Kashi of the South''. The beautiful Brahmagiri hills and the surrounding lush green forests have made the temple premises a valley of tranquility. So everybody feels completely relaxed after sitting in the sanctum of the temple. The temple is an embodiment of ancient temple architecture. The aquaduct that brings water to the temple is also a witness to hundreds of years of history and considered to be an engineering marvel.Thirunelli temple acted as an important pilgrim center in south India during the reign of Bhaskara Ravi Varma, a Chola king during 962-1019 CE. 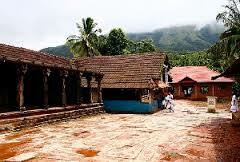 Thirunelli Temple draws pilgrims from all over, primarily for ancestral rites. The rituals are performed on the banks of the stream Papanasini which flows down from Mount Brahmagiri. It is believed that this stream has divine power to dissolve sins of all the mortals. Another major attraction of the temple is the holy rock where people pray for their forefathers. The temple is believed to have been built by Lord Brahma.Once when Lord Brahma while traversing the world, saw an idol of Lord Vishnu resting on an amla tree in the valley and thus the place came to be named Thirunelli. 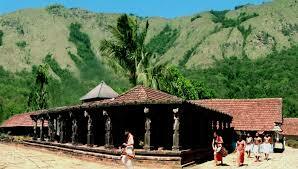 In Padma Purana (written by Veda Vyasa) there is mention of a beautiful Vishnu temple located in the picturesque Sahya valley deep in the middle of the forest. Thirunelli temple is also referred to as Amalaka temple and Sidha temple.Legend is that this temple was dedicated by Lord Brahma to propitiate Lord Vishnu. The idol is in the form of Chathurbhuja. According to legend, Lord Brahma was attracted by the beauty of the area around the Brahmagiri Hill. Descending upon the spot, Brahma noticed an idol of Lord Vishnu on an Amla tree and installed the idol there. At Brahma request Vishnu promised that the waters of the area would have the power to wash away all sins. The river near the temple is called Papanasini, which means the cleansing of sins.kalpathi. 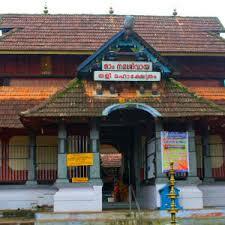 Puthari, Chuttuvilakku, Navarathri, Shivarathri and Sreekrishnajayanthi are the festivals conducted in this temple. By Road : The temple is 32 km away from Manathavady and around 110 kms from Mysore. One can reach the temple only by road. Wayanad is on NH212 that connects Calicut to Mysore. To reach Wayanad the most convenient railhead is Calicut. From there proceed to Mananthavady and then to Thirunelli by taxi or bus. By Air : The Nearest Airport is Kozhikode 88 km. station.